Our kids never get bored with mushroom. I buy button mushroom without fail every week. 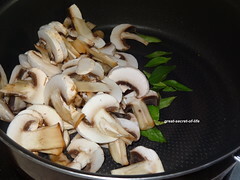 I have tried different mushroom dishes and posted so many in my space. 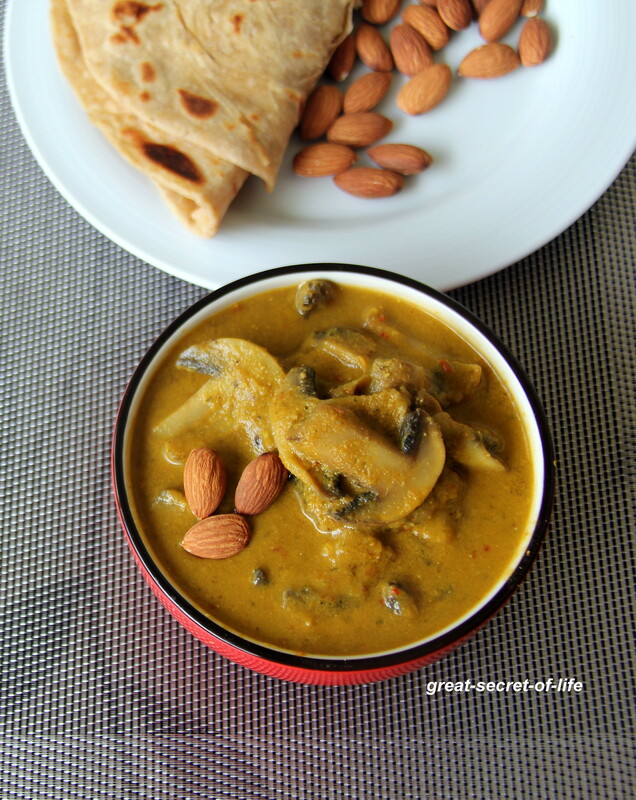 This is a simple korma recipe with Almonds. This can go well with rice / pulav / Roti / Paratha / iddiyappam / idli / Dosa. 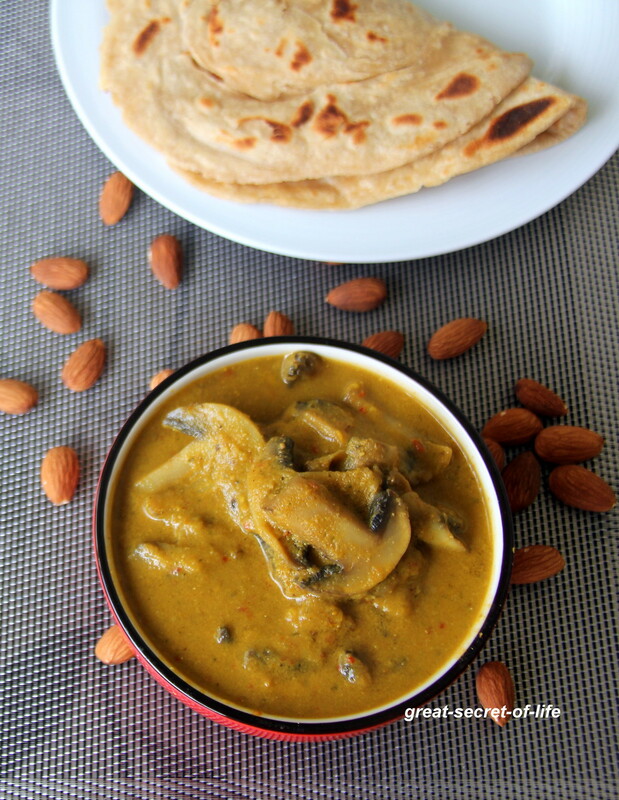 I love the Badam / almond in vegetable gravy. If you haven't tried you should..
Heat 1.5 teaspoon teaspoon of oil and add ginger and garlic. Fry till garlic is brown in color. 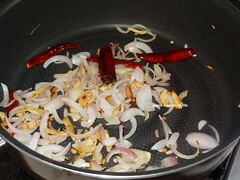 Add onion and Red chillies and fry till transparent. 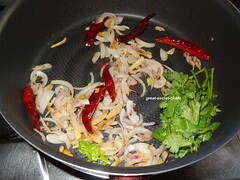 Add Coriander leaves and fry for Add blanch tomatoes. Switch it off. 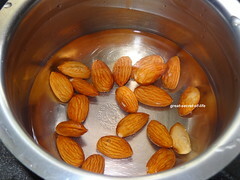 And add soaked almond and mix well. 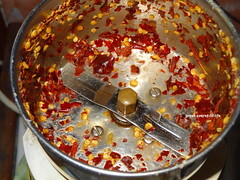 When it is cool down Grind the chillies first. Then add rest and grind to smooth paste. 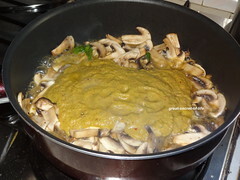 Heat the pan and add .5 teaspoon when hot add curry leaves, Mushroom and fry for 5-7 mins. 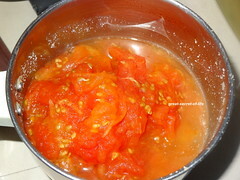 Now add grinded masala. Mix well. 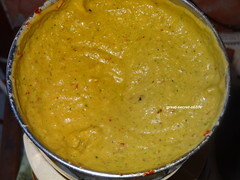 Add Required water, Turmeric powder, subji masala and cumin powder. Mix well. Let it boil for 7-9 mins. 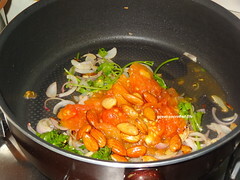 nice gravy with almonds, love to try this with other veges. rich and creamy gravy. Nice recipe. Love that gravy! This must be very very tasty. sounds very interesting,looks creamy n healthy gravy!! yummy curry!! love the addition of badam!! 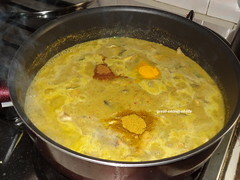 I can happily have this rich korma with anything, soo delicious.. Very rich gravy ! 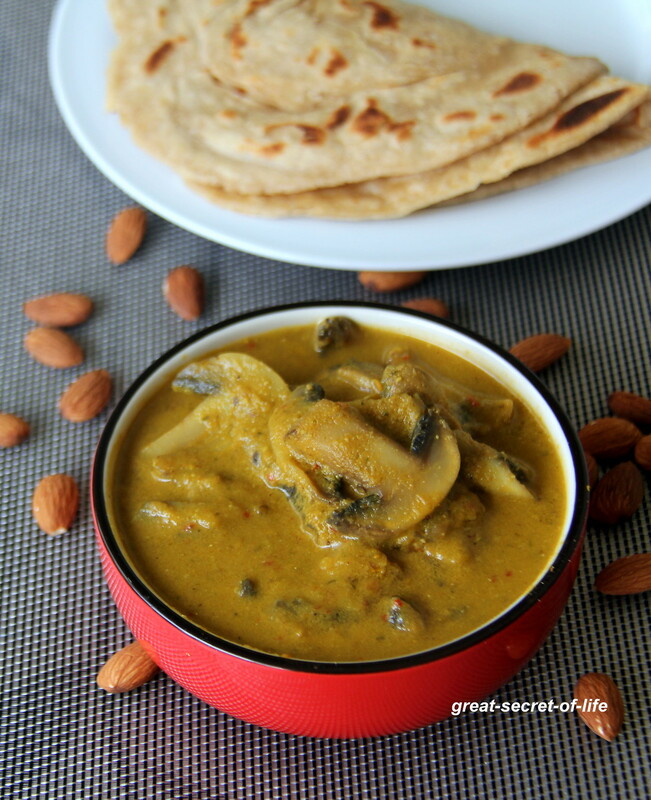 I have never had mushroom in such rich curries, always in semi dry forms .. would love to try this ! Love the gravy . Creamy too.